Brian Livingston will lead seminars on two consecutive days in the Seattle/Bellevue area. 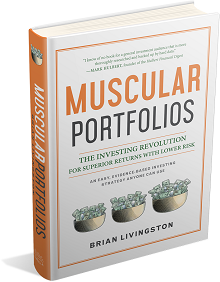 His 2-hour seminar on “How to Make Your Portfolio Muscular” is hosted by AAII Puget Sound on Nov. 17, 2018. There is no fixed fee — only a donation to AAII of any amount is required. A 6-hour “In-Depth Seminar” is on Nov. 18. For details and to register, see the Seattle/Bellevue seminar page.